Cover Story from CBN Weekly on the reconstruction of the Mercedes-Benz business in China. Includes extensive commentary from Bill Russo. Article is in Chinese. 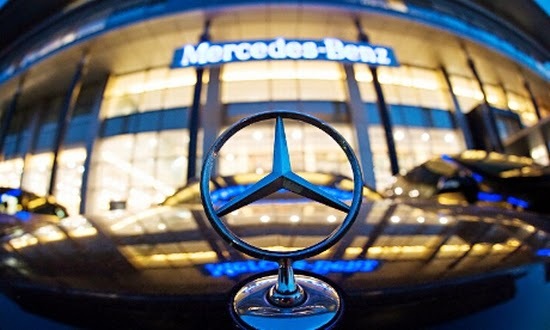 Germany's Mercedes-Benz has been found guilty of manipulating prices for after-sales services in China, the official Xinhua news agency reported, adding to pressure on foreign carmakers in the world's largest auto market. The report by the official Xinhua news agency made no mention of possible penalties, but China's 2008 anti-monopoly law allows the country's anti-trust regulator to impose fines of up to 10 percent of a company's China revenues for the previous year. The Jiangsu Province Price Bureau, which launched an investigation last month, found evidence of anti-competitive practices after raiding Mercedes-Benz dealerships in the eastern coastal province and an office in neighboring Shanghai, Xinhua said. The dealership in the same building as the Shanghai office which was raided appeared to be operating as normal on Monday (August 18), with potential customers peering at shiny new cars. A Daimler spokesman repeated a statement, first made by Mercedes-Benz on August 5, that it was assisting the authorities with their investigation, adding that it was unable to comment further as it was still an on-going matter. The Xinhua report said the cost of replacing all the spare parts in a Mercedes-Benz C-Class could be 12 times more than buying a new vehicle, citing a report from the China Automotive Maintenance and Repair Trade Association. Managing director of Gao Feng advisory firm, Bill Russo, said the consumer would benefit. "So I think what we are seeing is, first of all, a communication to the market that over the years, foreign branded products have been priced very high and informing the Chinese consumer that perhaps they should take another look at the prices and look for a more competitive price from the…and demand a more competitive price from the manufacturer. So in the end, this is actually a good thing for the consumer," he said. An array of industries, from milk powder makers to electronics firms, have been coming under the spotlight in recent years as China intensifies its efforts to bring companies into compliance with the 2008 legislation. The auto industry has been under particular scrutiny, with a wave of investigations prompting carmakers such as Mercedes-Benz, owned by Daimler, Volkswagen AG's Audi, and BMW to slash prices on spare parts in recent weeks. "So by enforcing these laws, they are actually making the foreign branded products more affordable to the market, which in the end is going to make harder for Chinese branded car makers to compete against them. So the unintended consequence is that you're giving the consumers a better price but you are also forcing the local car makers to compete with foreign branded products that are more affordable," Russo added. Early this month authorities said they would punish Audi and Fiat SpA's Chrysler for monopoly practices. Chinese media reported last week that Audi, the best selling foreign premium car brand in China, would be fined around 250 million yuan ($40.7 million).